True crickets ­(Family Gryllidae) are probably best known for their incessant chirping on late summer evenings. Most people can recognize a house or field cricket, but how much do you really know about these familiar insects? Here are 10 fascinating facts about crickets. Crickets belong to the order Orthoptera, which includes grasshoppers, locusts, and katydids as well. While all of these familiar insects share common traits with crickets, the katydids are their closest cousins. Crickets and katydids are surprisingly similar. Both insect groups feature long antennae and ovipositors, are nocturnal and omnivorous, and use similar methods of making music. Crickets sing an impressive variety of songs, each with its own purpose. A male's calling song invites receptive females to come closer and get to know him. He then serenades the female with his courthship song, trying to convince her that he is the best among her suitors. If she accepts him as a mate, he may sing a song to announce their partnership. Male crickets also sing rivalry songs to defend their territories from competitors. Each cricket species produces its own signature call, with a unique volume and pitch. Crickets produce sound by stridulating. The male cricket has a specially formed vein at the base of the forewing, which enables it to act as a file or scraper. To sing, he pulls this ridged vein of one wing against the upper surface of the opposite wing, causing a vibration that is amplified by the thin membrane of the wing. There's no point to a cricket's song if it can't be heard, of course. Crickets, both male and female, do have auditory organs to detect sounds. If you look closely at their lower forelegs, you'll see an oval-shaped indentation – the tympanal organ. This tiny membrane is stretched over a small air space in the foreleg. When sound reaches the cricket, it causes this membrane to vibrate. The vibrations are sensed by a special receptor called a chordotonal organ, which turns the sound into a nerve impulse so the cricket can make sense of what it hears. Because the cricket's tympanal organs are so incredibly sensitive to vibrations, it's remarkably difficult to sneak up on a cricket without it hearing you coming. Have you ever heard a cricket chirping away in your basement and tried to find it? Every time you walk in the direction of the cricket's song, it stops singing. Since the cricket has ears on its legs, it can detect the slightest vibration created by your footsteps on the ground. And the best way for a cricket to avoid predation is to stay quiet. Although a cricket's keen sense of hearing can protect it well from larger predators, it's no protection against the sly and silent parasitic fly. Some parasitic flies have learned to listen for the cricket's song to locate the insect host. As the cricket chirps away, the fly follows the sound until it finds the unsuspecting male. Parasitic flies deposit their eggs on the cricket, and when the fly larvae hatch, they ultimately kill their host. A Tufts University professor named Amos E. Dolbear first documented a relationship between the rate of a cricket's chirps and the ambient air temperature. In 1897, he published a mathematical equation, called Dolbear's Law, to enable you to calculate the air temperature by simply counting the number of cricket chirps you hear in a minute. Since then, other scientists have improved on Dolbear's work by devising equations for different cricket species. You've probably noticed that entomophagy, or the practice of eating insects, has become somewhat trendy in recent years. While much of the world's population eats insects as part of their everyday diet, entomophagy isn't accepted quite so readily in the U.S. But products like cricket flour have made eating insects a little more palatable to those who just can't bear to bite down on a whole bug. 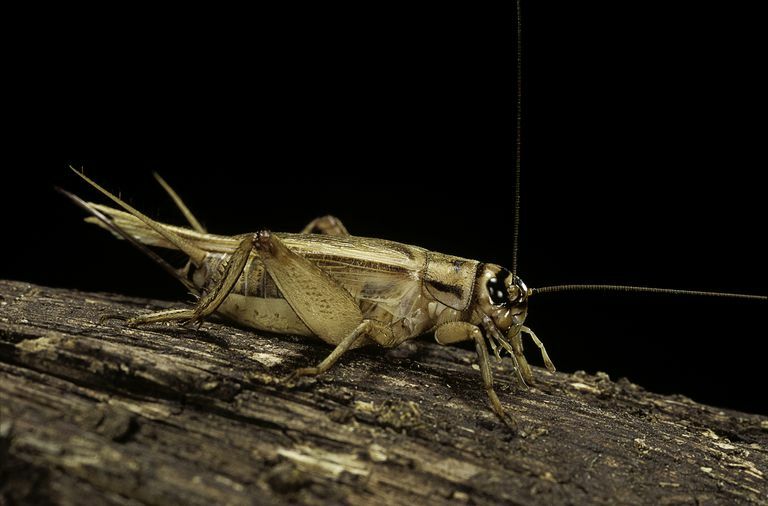 Crickets are surprisingly high in protein and calcium. You'll get almost 13 grams of protein and 76 mg of calcium in every 100 grams of crickets you consume. For over two millenia, the Chinese have been in love with crickets. Visit a Beijing market, and you'll find prize specimens fetching prices that make the average tourist do a double take. In recent decades, the Chinese have revived their ancient sport of cricket fighting. Owners of fighting crickets take the best care of their prizefighters, feeding them precise meals of ground worms and other nutritious grub. Crickets are also prized for their voices. In China, cricket singing in the home is a sign of good luck and potential wealth. So cherished are these insect songsters that they are often housed in beautiful cages made from bamboo, and displayed in the home. Thanks to the demand created by reptile owners and breeders, cricket-breeding is a multimillion dollar business in the U.S. Large scale cricket breeders may raise as many as 50 million crickets at a time in warehouse-sized facilities. The common house cricket, Acheta domesticus, is raised commercially for the pet trade. In recent years, a deadly virus known as cricket paralysis virus has devastated the industry, and more importantly, the crickets. Crickets infected with the virus as nymphs gradually become paralyzed as adults, flipping onto their backs and dying. Half of the major cricket breeding farms in the U.S. went out of business as a result of the virus, after losing millions of crickets to the disease. The Songs of Insects, by Lang Elliott and Wil Hershberger. Field Guide to Insects and Spiders of North America, by Arthur V. Evans. 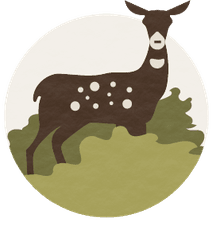 "Frequently Asked Questions," Insects Are Food website. Accessed online September 14, 2106. "The Cricket Paralysis Virus (C.P.V. )," Cricket-Breeding.com. Accessed online September 14, 2106. "Cricket Virus Leads to Illegal Importation of Foreign Species for Pet Food," by Joe Ballenger, Entomology Today, December 22, 2014. Accessed online September 14, 2106.